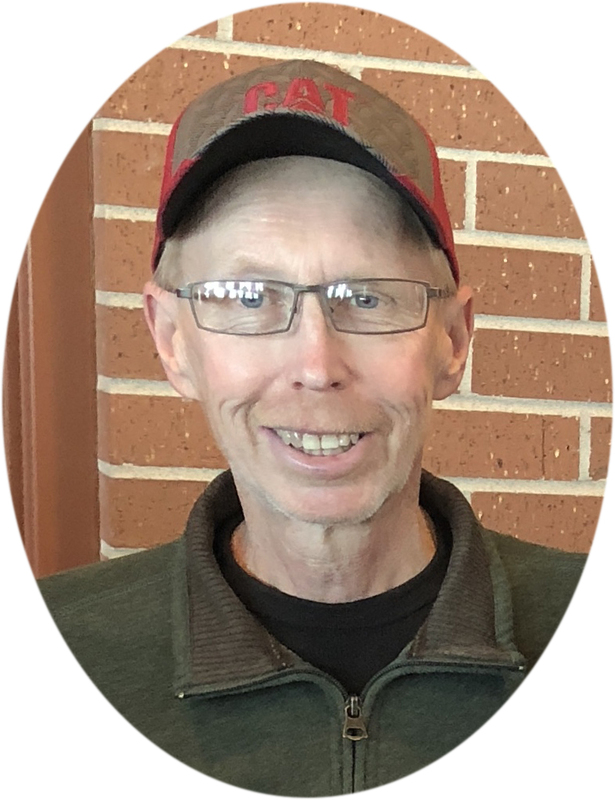 Timothy George Tuel (April 13, 2019) | Burmeister-Johannsen Funeral Home, Inc.
Timothy “Tim” George Tuel, the son of Leonard House and Ruby Irene (Brawe) Tuel, was born on March 13, 1959, in Greenfield, Iowa. He attended Atlantic (Iowa) schools and graduated with the Class of 1977. Tim completed the Automotive Mechanic Training program through Iowa Western Community College in 1978, and then attended and completed Diesel Mechanics training in Denver, Colorado, in 1979. On April 2, 1979, Tim began a 40-year career with Nebraska Machinery Company in Omaha, Nebraska. On June 27, 1987, Tim married Denise Rae Dea at St. Peter’s Catholic Church in Council Bluffs, Iowa. The couple moved to Shelby, Iowa, in 1989. Tim joined the Catholic Church in 1990, and was a member of St. Mary’s Catholic Church in Avoca, Iowa. Known as “Tim the Tuelman” to his friends, he loved staying active with various handyman projects, including gardening and landscaping. His most recent project was restoring his dad’s 1980 El Camino; the finished product received second place at the Avoca car show. Tim enjoyed skiing in Colorado, and had also taken part in RAGBRAI twice with his son, Taylor. 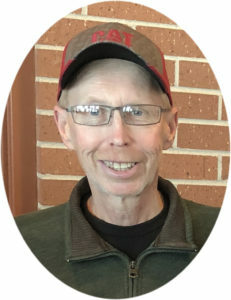 Timothy G. Tuel died on Saturday, April 13, 2019, at his rural Shelby, Iowa, home. He had reached the age of 60 years and 1 month. Tim was preceded in death by his parents, and one brother-in-law, Lyle Vollmuth. He is survived by his wife of 31 years, Denise Tuel of Shelby, Iowa; two daughters, Amelia (husband, Brad Dwyer) Tuel of Des Moines, Iowa, and Alyssa (boyfriend, Philip Johnson) Tuel of Omaha, Nebraska; one son, Taylor (girlfriend, Taylor Reinke) Tuel of Boone, Iowa; one sister, Vicki Vollmuth of Omaha, Nebraska; one brother, Rodger (Nancy) Tuel of Berthoud, Colorado; and other relatives and friends. Mass of Christian Burial was held on Tuesday, April 16, 2019, at St. Mary’s Catholic Church in Avoca, Iowa, with Father Seth Owusu celebrating. Sondra Dea and the St. Mary’s Choir served as musicians. Tom Pattee was the lector, and Peter Dea, Joseph Dea, and Nora Paulson were the servers. Casket bearers were Amelia Tuel, Brad Dwyer, Alyssa Tuel, Philip Johnson, Taylor Tuel, and Taylor Reinke. Burial was in Graceland Cemetery, Avoca, Iowa. The Burmeister-Johannsen Funeral Home in Shelby, Iowa, was in charge of the arrangements. Condolences may be left online at www.burmeisterjohannsen.com. I fight through the tears finding out I lost a special friend of 55 years. I did my best to stay in contact through his battle. My last contact was 2 years ago with him saying he was doing ok. and now he is in a better place with God. Safe travels Johnny Wrench! I so enjoyed Tim during and after graduation. He was just that person that could talk to anyone and make them feel comfortable. We always said hi when we saw each other and talked at the school reunions. The world lost a good soul that day. So deeply saddened to hear the news of Tim’s passing. Tim and I were just talking about getting together this summer after not seeing each other in many years, I was so looking forward to it. Tim the “Tuelman” as we all called him was a joy to work with and it was a pleasure to call him a friend. Our thoughts and prayers go out to his family. I am so sorry for your loss. Alyssa and family please accept my sympathy. May God Almighty comfort you and your family at this difficult time. May His Gentle soul Rest in Peace. Amen. We also knew Tim as “John Denver” at AHS. I lived with Tim for a year at the Cottonwood Apartments attending IWCC. Thinking of those days bring a smile with Tim around. He free of his struggle, but still so hard to deal with. My heart goes out to all of you. We also knew Tim as”John Denver” at AHS. Lived with Tim for a year at the Cottonwood Apartments attending IWCC. Those days make me smile with Tim around. He is free of his struggle, but still so very hard to deal with. My heart goes out to the family and friends. Tim was one of my first friends at NMC. We shared stories of our children growing up, work and other events in our lives over the years He was always smiling, made sure to say good morning and always made time for a quick chat. I will miss him! So sorry to see of Tim’s passing. He was always upbeat and very helpful. During my last conversation on 4-8-19 he said he was doing OK, who knew. One of the nicest people I have dealt with in my 43 years as General Manager of Nebraska Peterbilt. He will be missed. May God be with your family as you say goodbye to Tim. I’m so sorry to hear of Tim’s passing. We are keeping you all in our thoughts and prayers. My thoughts and prayers to Tim’s family. Tim was such a great person, friend of everyone and one of the toughest people I have ever known. RIP my good friend! Condolences to the family. I knew Tim from working with him at Caterpillar when he was a TEAM and TEPS program manager. He was always very kind to me. I know he fought hard. He will be missed. My thoughts and prayers to Tim’s family and friends! I am both humbled and honored to have known and worked with Tim. Please except my condolences. May you find comfort in knowing that your dear one is safe in the memory of God, who will remember every detail about him and bring himjeep back again. John 5:28, 29 gives this assurance. My condolences to your family and you, Amelia. While I met your father only at your and Brad’s wedding, his pride in and love for his family was apparent. So sorry for your loss. My thoughts and prayers are with you during this tough time. Such a great man and such a great family. My condolences to you and your family Amelia. May you find peace, comfort, and support amongst friends and family. I am very sorry for your loss. You and your Families are in our prayer. He will be missed by all that knew and loved him. I always enjoyed working with Tim thru the Caterpillar network. Psalm 23 and A Psalm of David 15 vs’ 2, 3, 4 and 5. My sincere condolences the world will not be the same without the Tuelman. Prayers to you all. Rest in peace my friend. Love ad prayers for you and your beautiful family, Denise. So sorry to hear of Tim’s passing. He was good guy and has great family and know you will all miss him dearly! So sorry for your loss. So sorry to hear this! RIP Tuelman, you will be missed! Our thoughts and prayers to you in your loss. We will pray for you in the days ahead. We are so sorry for your loss.